A true Nashville celebration. It’s one of our favorite things. The vibe that downtown brings to a wedding day is comparable to nothing else. 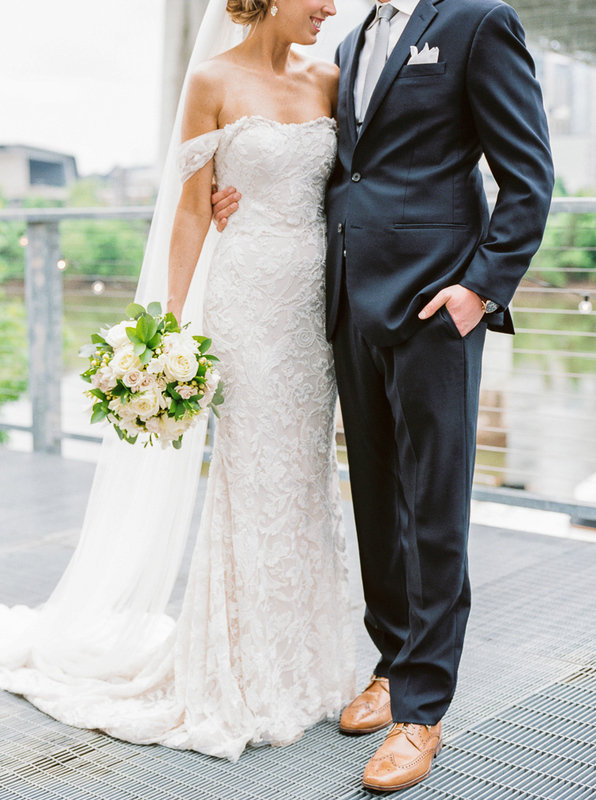 The city lights, the John Seigenthaler Pedestrian Bridge, the pure roar of celebration makes for magical memories. One of my favorite quotes growing up was “For beautiful eyes, look for the good in others; for beautiful lips, speak only words of kindness; and for poise, walk with the knowledge that you are never alone.” — Audrey Hepburn. That is how this sweet May bride made us feel. She was full of joy on her wedding day. 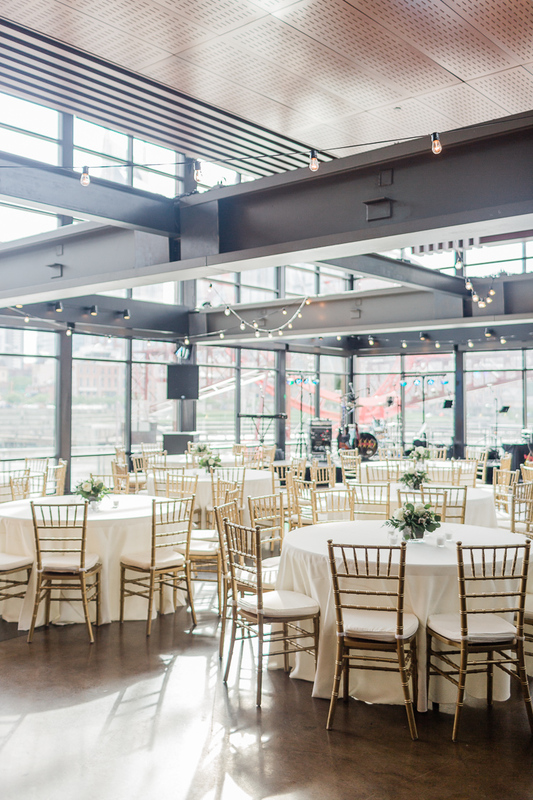 We worked with the bride to create an elegant and inviting ceremony space atop The Bridge Building overlooking downtown Nashville and the Cumberland River. 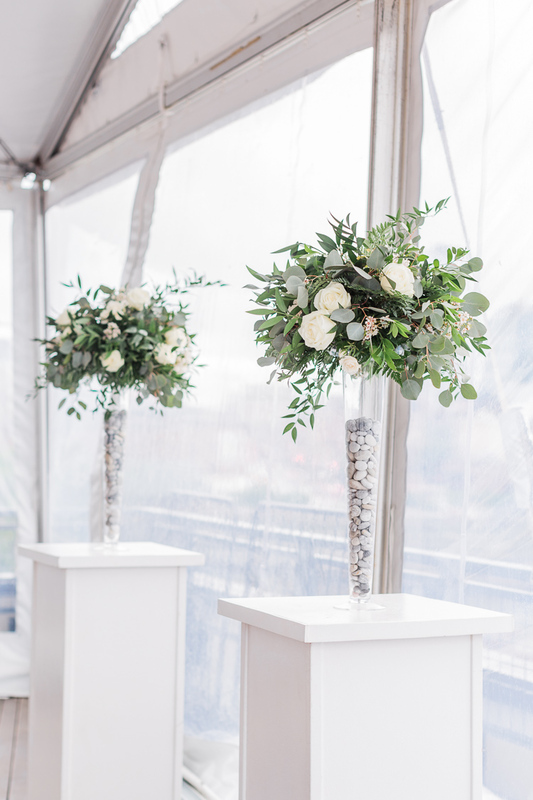 Geny’s floral design team created simple, elegant arrangements of white florals and soft greens to serve as the focal point for this intimate ceremony and clusters of eucalyptus and satin ribbon waved the bride down the aisle. The bridal party completed the picture with garden style bouquets of white and cream florals accented with fresh, soft greens. All of the beautiful details came together as if they were long lost friends. Thank you to Lauren Galloway Photography for all of the lovely photos. 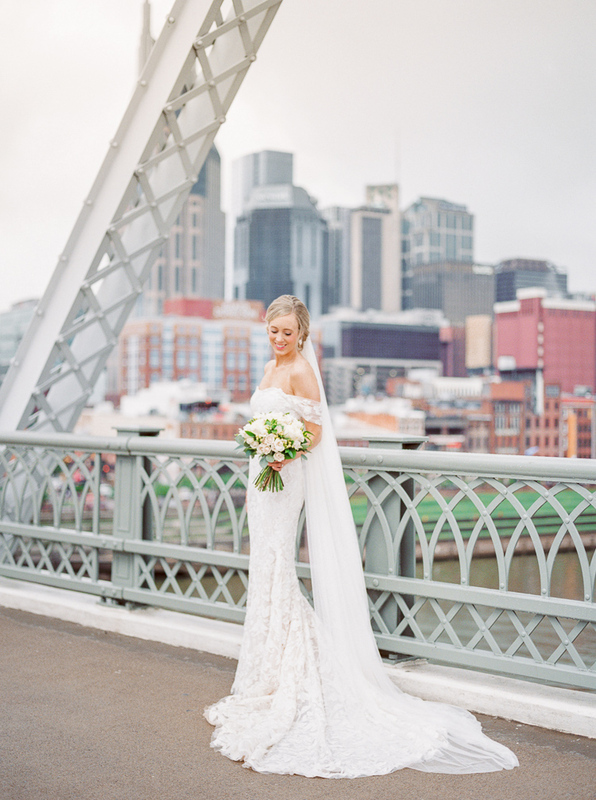 You can also see this wedding featured in Nashville Lifestyle Weddings, as the photographer shared, here. Congratulations Lauren and Oscar! We wish you many years of wedded bliss.